If you are looking to invest in a property in Germany but are struggling to finance the project or find the most suitable mortgage for your needs, our experienced team can help make the process quicker, more efficient and more profitable. 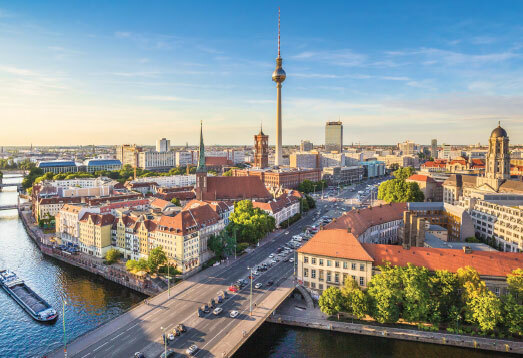 Utilising our long list of connections within the global mortgage industry, we can help you identify the very best mortgage deal when looking to secure and finance property in Germany. Due to the country’s continually robust and growing economy, German mortgage rates are usually among the lowest within the EU. This makes Germany a standout performer for property investment. Furthermore, German mortgages are often very flexible. Whether you are looking to purchase a home in Germany or wish to invest in a buy-to-let property, we can help make the process of finding your mortgage incredibly simple. Additionally, our international currency transfer service can help you save up to 5% when moving your money. At Liquid Expat, we make it as straightforward as possible to apply for a German mortgage, even if you are based in the UK, Hong Kong or elsewhere in the world. Requiring only a valid passport, proof of equity and proof of income; we will then use our experience and contacts to find the perfect mortgage deal for your situation. We can even help self-employed contractors, freelancers and first-time buyers apply for a German mortgage.